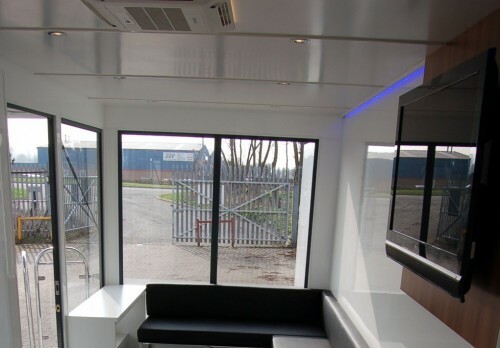 This 7m unit has the feel of being much larger due to extensive glazing. 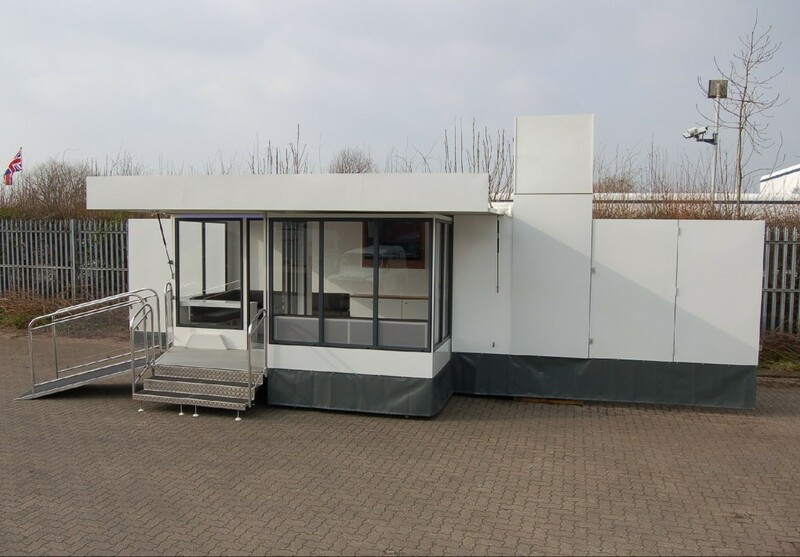 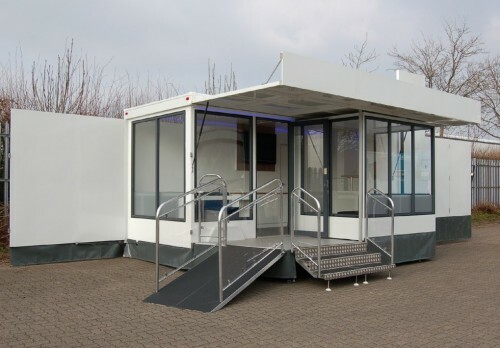 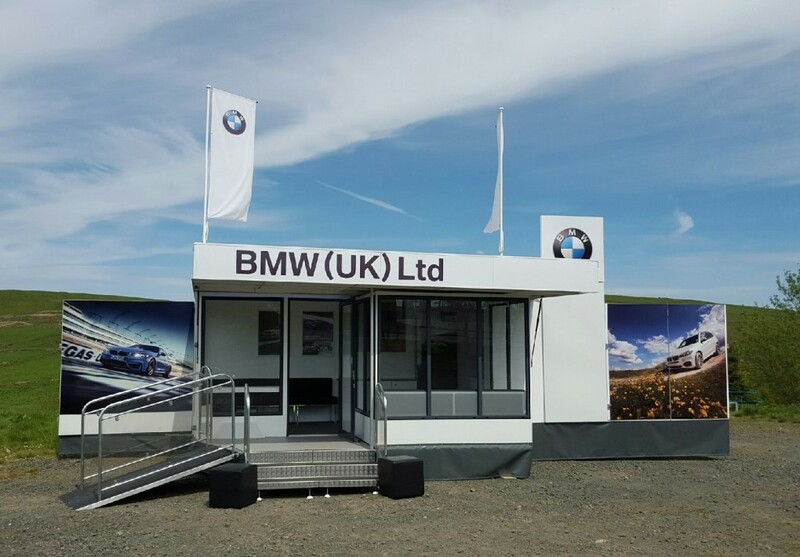 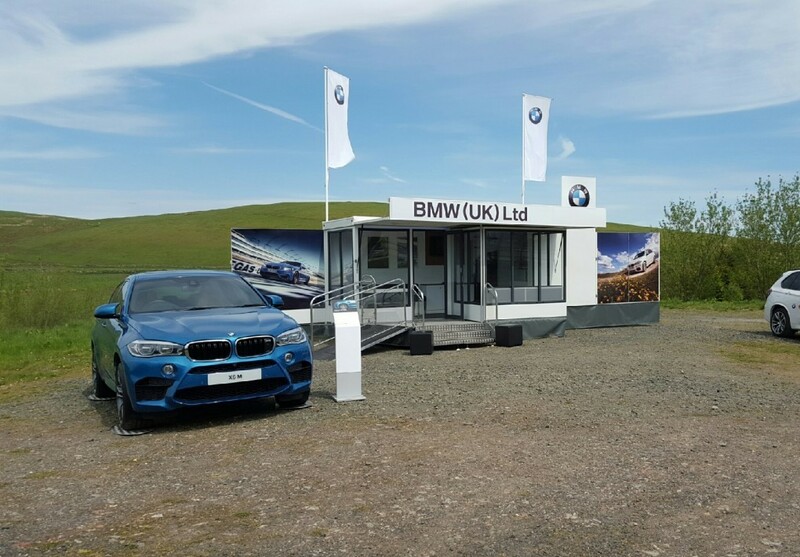 The X7 has a glazed pod to the front, fully glazed frontage with entrance steps and ramp access through a single glazed door into a seating area with desk area. 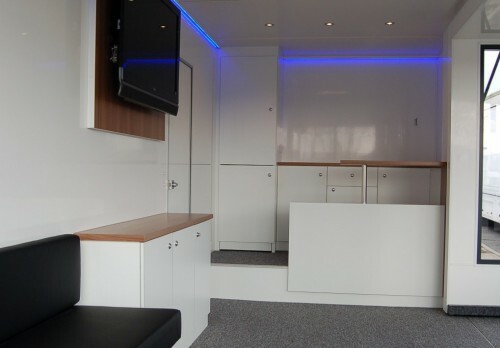 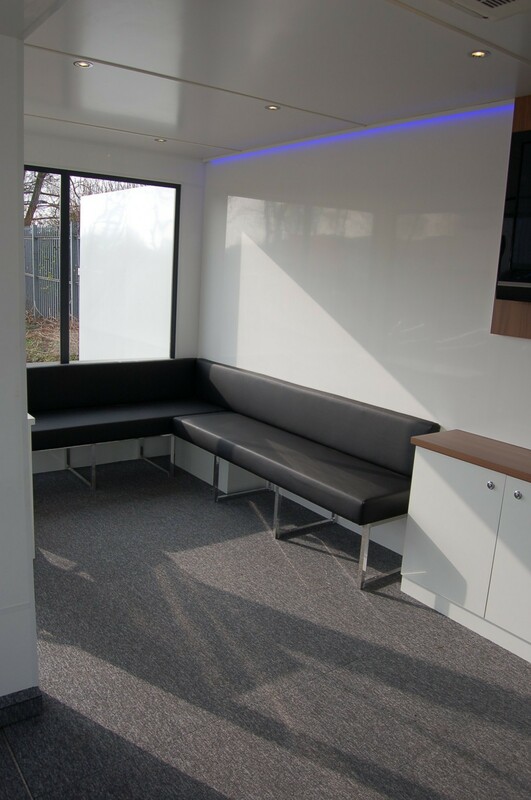 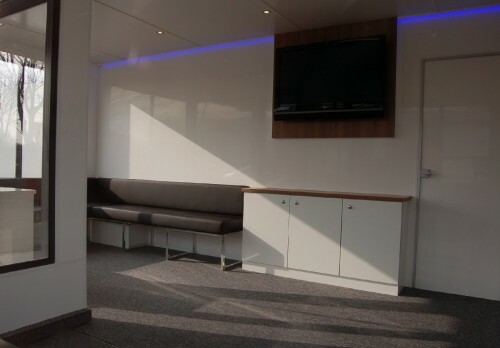 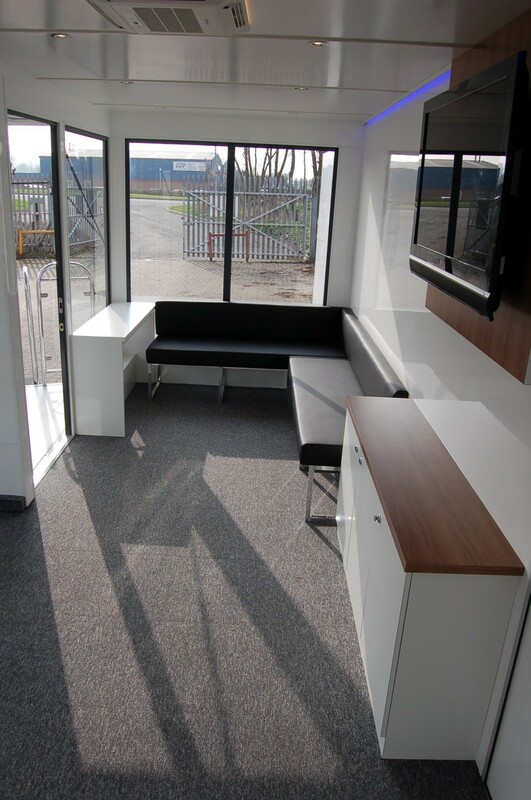 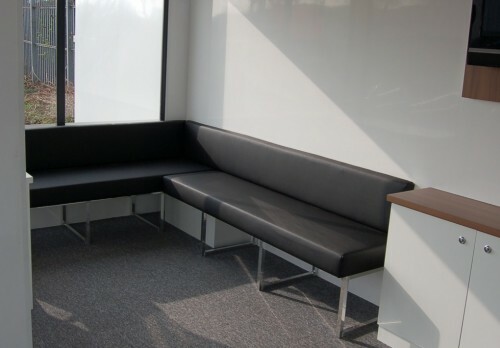 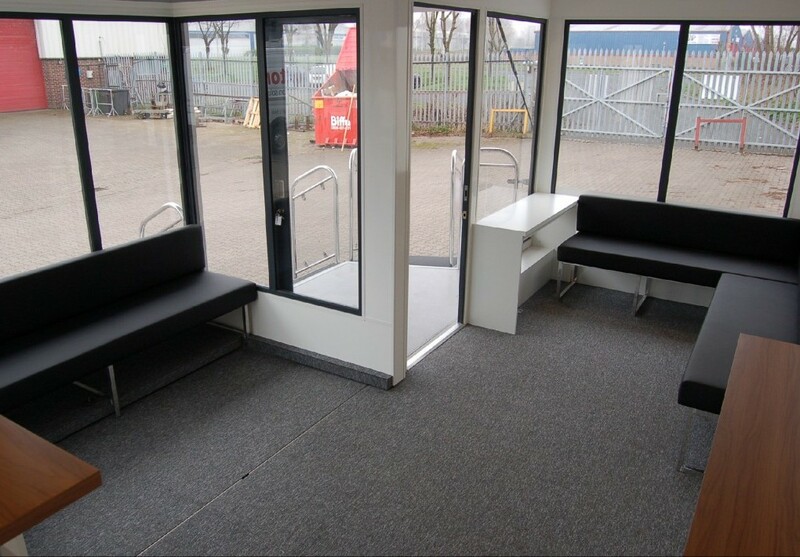 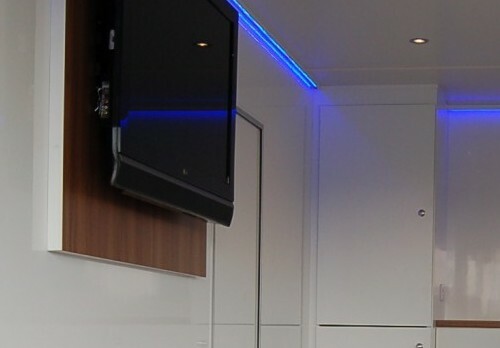 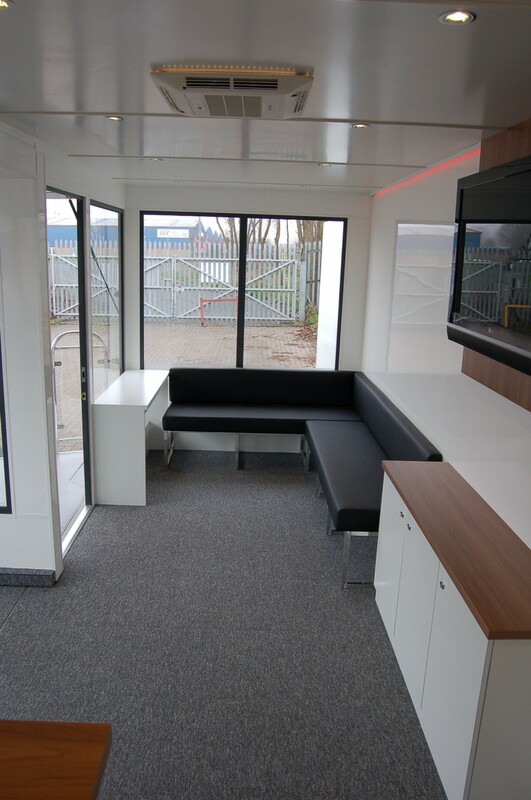 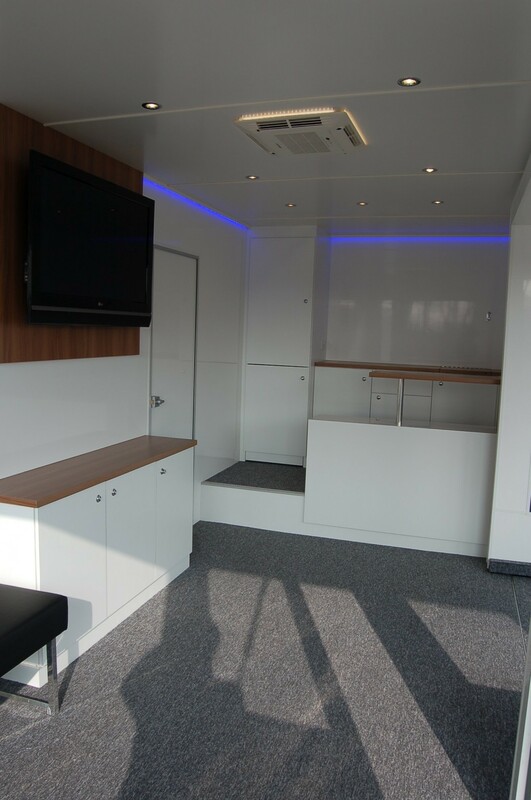 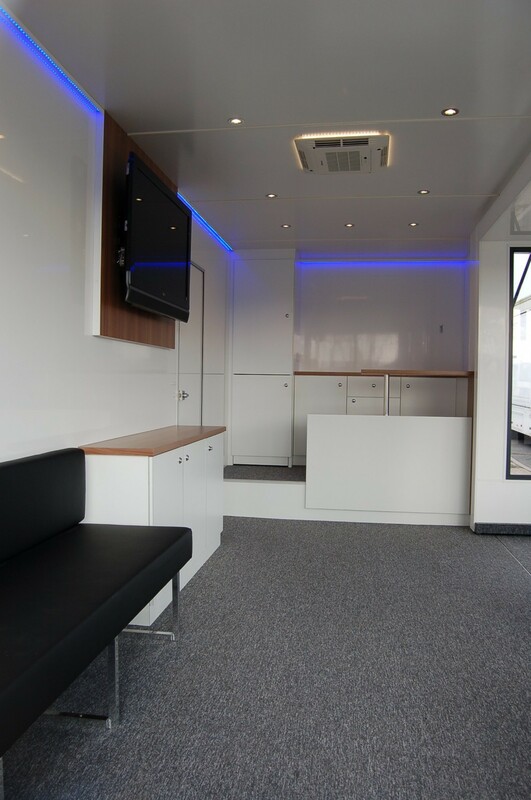 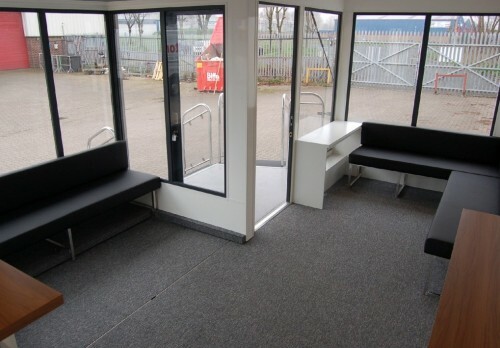 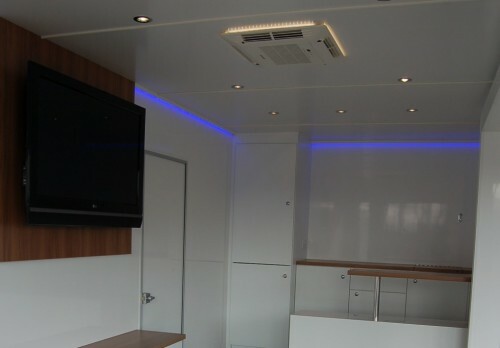 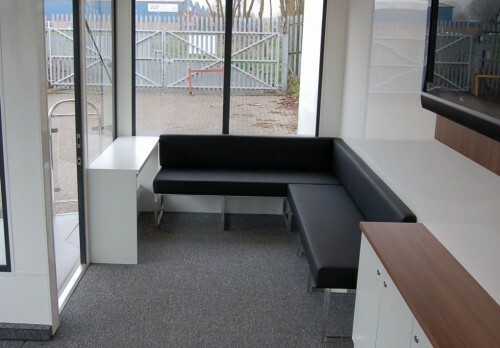 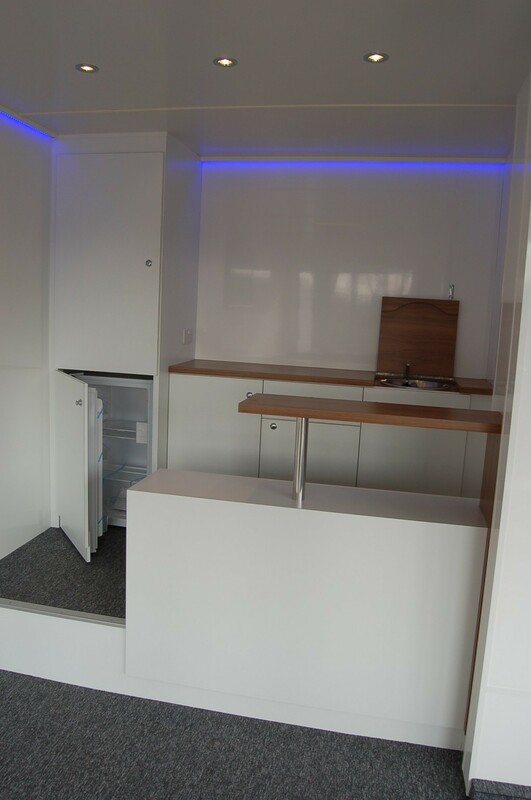 More seating is available in the pod area to the front, which is in a 'U' shape looking onto the back wall, which has space for personalised literature to be displayed and has storage cabinets suitable below the 42" TV screen. 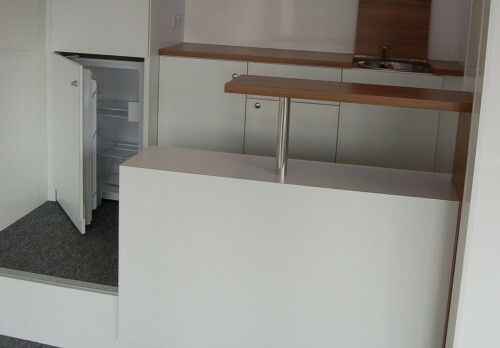 There is a kitchen for refreshment purposes. The exterior has Torton's end wing display and slide in roof sign facility, and the flip up totem for high level branding.